We are proud of our service and you will never be more proud of your dog! Contact us today for a professional, competitive and stress-free service! We love to love your best friend! Hi! We’re Local Dog Groomers and we’re here to offer you the best care for your best friends! We wash and groom dogs of all shapes and sizes, and we work 7 days a week so we can fit in to your busy schedule. Our mobile dog grooming is a service that many pet owners find to be without equal. Not only does it keep them from trying to bathe their dogs on their own it keeps them from the stress of trying to get Fido into the car to go to the dog groomer. But the service is more than just a dog washing service. In fact, we can even perform dog haircuts, nail trimming and more. It’s like a day at the spa without having to even leave your driveway. After you book an appointment the dog grooming van will arrive and your dog will receive a professional dog wash and also get pampered and spoiled with treatments that include a hydrobath, dog haircuts, nail trimming, flea prevention if needed or requested and of course, affection and rewards. If your dog has been rolling in the dirt, playing at the beach or just needs some TLC, please give us a call on (03) 7018 0705 and treat your dog to a professional wash and groom. Each dog will be bathed in fresh water, perfectly warmed to the right temperature. 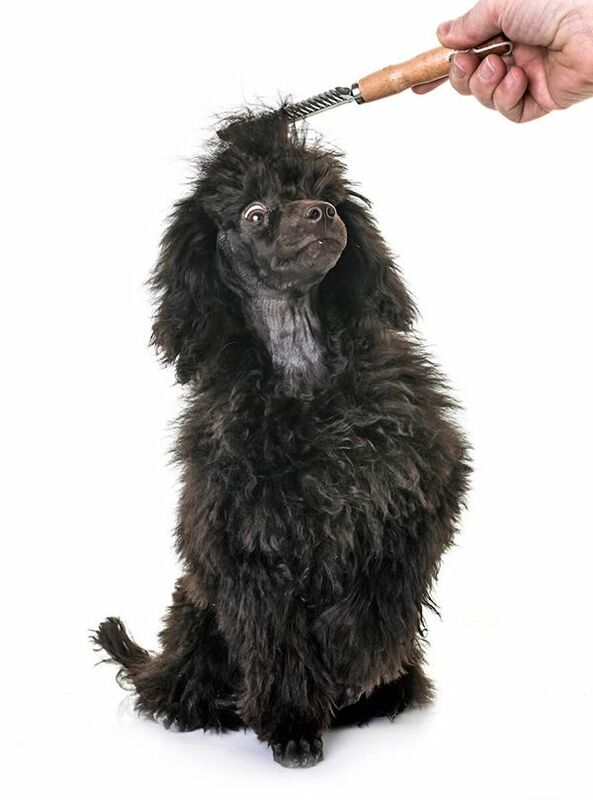 A mixture of specially formulated shampoo and water will be pumped with enough power to get through the toughest of coats and the longest of hair but still be gentle to a dog’s soft skin underneath. We use natural shampoos when washing your dog. This is great for dogs with skin issues or sensitive skin that reacts to the harsher shampoo's. We take extra care when drying your dog following a wash using our in-built blow dryer. Some dogs can get upset, so we can also hand towel dry your dog to ensure minimal stress and keeping them nice and clean. Dogs nails getting too long? Are they getting scratchy or caught on things? Then follow up your dog wash with our nail clipping service. It's surprising how much gunk can get stuck in your dog's ears. We take extra care when cleaning your dogs ears, this is a great service and included in our dog washes. Our dog grooming service will leave your dog looking immaculate, fresh, cuter and younger. Sometimes your dog just needs a little trim to get them looking their best. A common trim involves face, paws and belly! Dog had a ruff week? Call us now to pamper your pup! Based in Balwyn, providing dog grooming services Melbourne wide!